A welcome sight on a cold winter's day! It's mid-winter, and a passing flock of robins suddenly drops out of the sky. A moment ago, the yard was empty of birds, but now it's full. They settle in a bush laden with fruits. 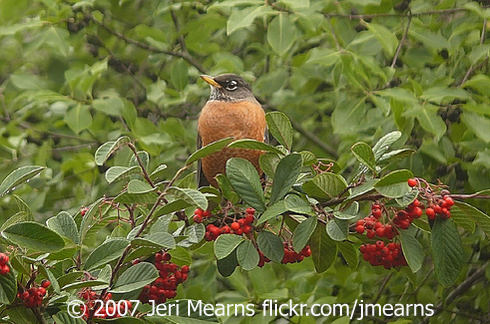 When the robins pass over a fruiting shrub, those red berries signal like a neon sign on a restaurant. Time to stop for a meal! 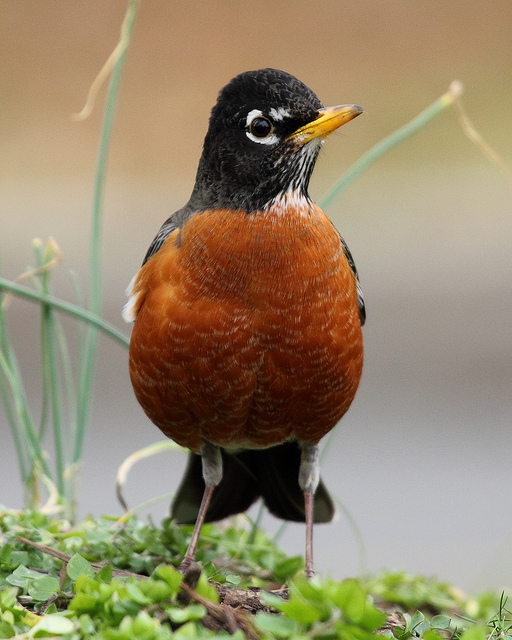 Check out Related Resources below to learn how you can attract robins and other birds to your yard. 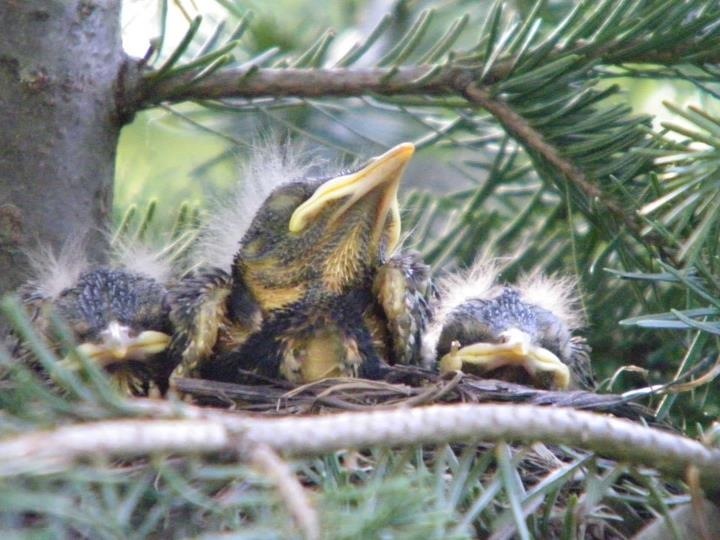 You can learn how to provide a feast for your backyard birds when you come to our website, BirdNote.org. BirdNote’s produced by John Kessler. Our writers include Bob Sundstrom, Rick Wright, Todd Peterson, Ellen Blackstone and Gordon Orians. The music was composed and played by Nancy Rumbel and John Kessler, and I’m Mary McCann. Bird sounds provided by The Macaulay Library of Natural Sounds at the Cornell Lab of Ornithology, Ithaca, New York. 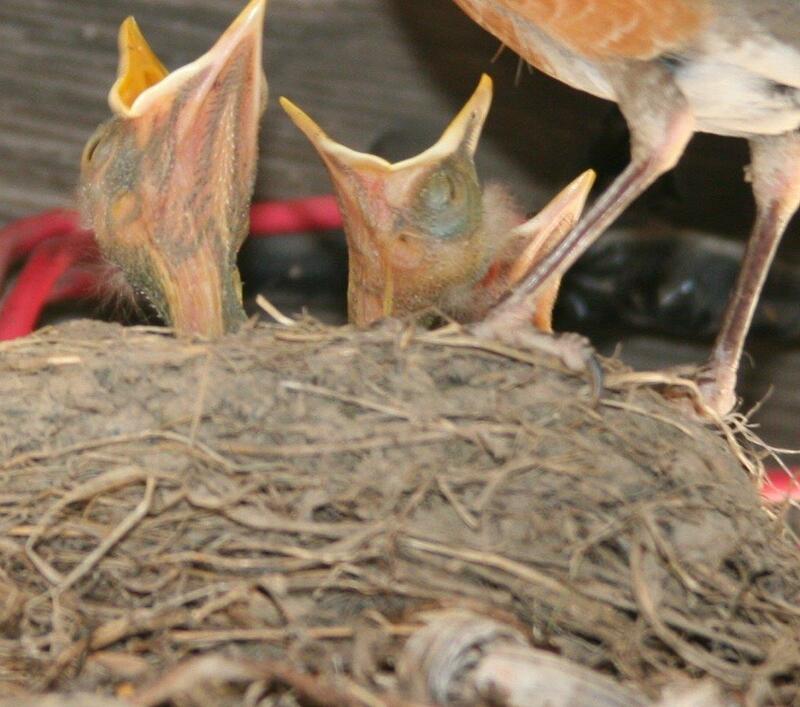 Call of the American Robin flock recorded by Timothy Barksdale. 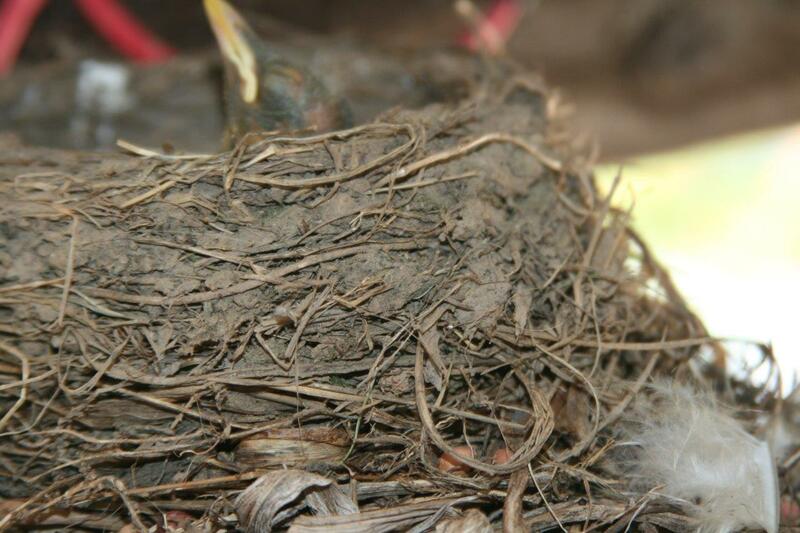 Vocalizations of European Starlings were recorded by Martyn Stewart of Naturesound.org. Editor's note: While robins and other birds are drawn to non-native plants, we highly recommend planting native plants in your yard. Check with your local Master Gardener to find suitable plants to attract birds, bees, and other wildlife.